On board Fred. Olsen’s Braemar, enjoy the perfect balance between space and intimacy, with its five-deck high atrium and cascading decks at the stern. 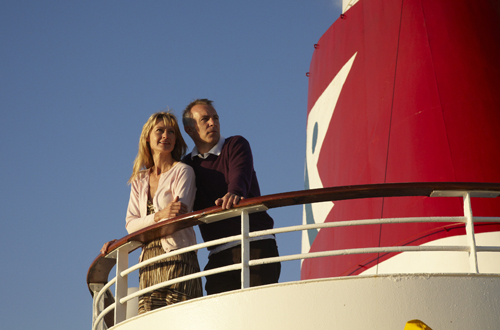 From the moment you step on board Braemar, you’re welcomed by friendly and attentive staff, offering a personal service throughout your trip. You will experience the friendly and British atmosphere for which all Fred. Olsen cruise ships are renowned. Big enough to have all the facilities you require but small enough for you to feel at ease, Braemar is a cruise ship that offersapersonal experience, creating a great opportunity to make friends with fellow Fred. Olsen cruisers and staff. In the day relax by the pool, dip in the Jacuzzi or sip away at the Marquee poolside bar. Get your taste buds tingling with the wide array of exceptional cuisine - enjoy a tasty lunch at the Palms Café and indulge in a delicious dinner at the Thistle and Grampian restaurants. Aboard Fred. Olsen’s Braemar, guests are guaranteed to be whisked away on a unique and relaxed holiday, where you will be treated as an individual and not a cabin number. 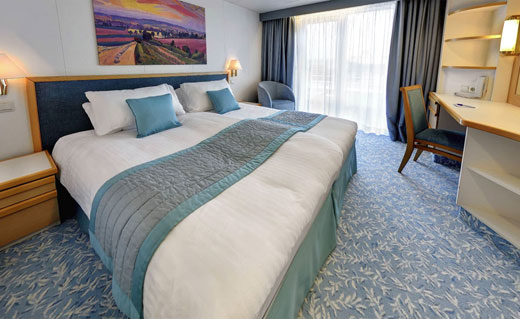 This ship has a variety of cabins and suites for you to choose from – to find out more about Fred. Olsen Braemar’s cabins, click the tab below. You can also view the deck plan for Fred. Olsen Braemar. Bedroom with 2 Portholes, bathroom with shower, hairdryer, television & safe Note - Some Cabins may have restricted view. Bedroom with picture window, bathroom with shower, hairdryer, television, fridge & safe Note - Some Cabins may have restricted view. Bedroom with picture window, bathroom with shower, hairdryer, television & safe Note - Some Cabins may have restricted view. Superior Ocean View Note - Some Cabins may have restricted view. Bedroom with bathroom with shower, hairdryer, television and safe Note - Some Cabins may have restricted view. 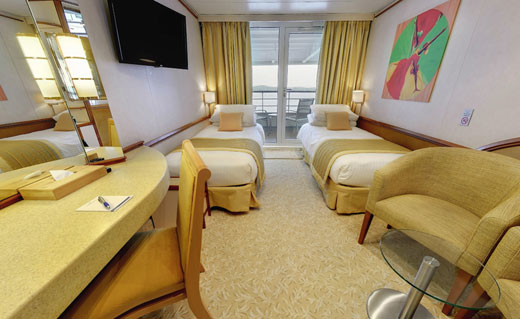 These rooms are approximately 175 square feet in size and can be found on Lido Deck 6 and Bridge Deck 7. They have a bedroom with a large picture window and a bathroom with shower. Facilities include air conditioning, a TV, fridge, telephone, safe and hairdryer. 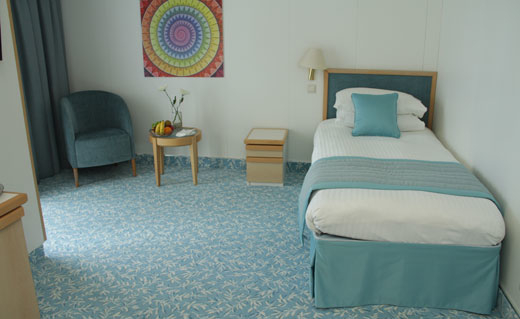 All rooms are non-smoking, have 24 hour room service and require a European 2 pin plug (220 volts). Note - Some Cabins may have restricted view. This cabin is approximately 140 square feet in size and can be found on Marquee, Bridge and Lido Decks. These single suites have a bedroom with balcony and an en-suite bathroom with shower. Facilities include DVD/CD, fridge, mini bar and a safe.